We are proud to be named among Land Report’s best brokerages in 2015 and 2016. As the region’s largest and most dynamic real estate company, we specialize in recreational and working ranch land. Our ranch brokers had very successful years and one success to note: sold a portion of the 140-acre VandeWater Ranch for $20 million, setting a per-acre area record for non-subdivided land. 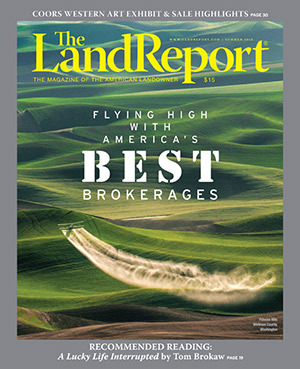 View the Best Brokerages issue from the Land Report’s 2015 summer issue.